Great news not long after the queen had enounced this years entries for towns with a certain criteria for them to be announced the newest Cities in Great Britain in conjunction with the Diamond Jubilee of Queen Elizabeth. Paisley is to be awarded city status after all, which is welcome news to the town. The announcement came today not long after the queen read popular website www.paisley.org.uk after reading all about the Sma Shot cottages and the wonderful work these ladies do, and prince Charles has already visited recently. So Paisley is no longer a town and from today onwards we shall be able to say welcome to our City. A representative from Renfrewshire council confirmed that indeed it was a lovely week. We thought we had been forgotten about this year but it seems not, well done to everyone involved in this bid and because we have City status Glasgow Airport will change its name in 2013 to Paisley Airport in time for the Royal National MOD arriving in the City. Tomorrow Friday the 30th March 2012 only. Don’t make the ad too big, you can promote yourself in just one or two paragraphs of text, please don’t over do it, keep it straightforward and think of your customer. We may make this a regular thing, we have over 2,000 people on the page and it also gets sent to twitter to about 7,000 people too. Anyone abusing it will simply be removed and an email won’t be sent to warn you. Remember go to http://www.facebook.com/paisleyscotland tomorrow and advertise free.. So sell your business to the people of Paisley free of charge for one day only. Make the most of it, let’s promote the businesses of Paisley! If you’re tweeting use the hashtag #paisleybusiness and if you’re posting just put this at the end of your post too… Don’t worry if you don’t know what that’s about… Just promote your business to new and existing customers. Looking to have some family fun on April Fools Day? 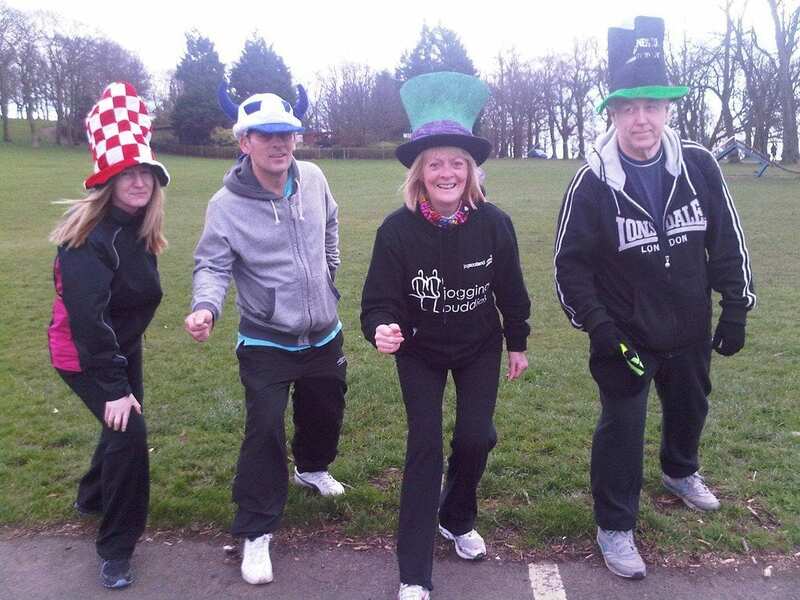 Why not join Jogging Buddies at Barshaw Park for the Mad Hatters Fun Run. You can walk, jog or run! There will be a 3K at 11am open to anyone over age 9 and a 1K for all ages/abilities at 11.45am. All participants will receive a medal and Easter Egg and their will be a special prize for the maddest hat!! Entry fee £5.00 for 3k & £3.00 for 1k (£13 for family of up to 2 adults & 2 children). Call the race hotline 0141 880 9096 for an entry form or enter on the day from 10am. ARE YOU STRUGGLING TO SELL YOUR HOME? ARE YOU SIMPLY IN NEED OF SOME SOUND PROPERTY ADVICE? CHANNEL 4’S SECRET AGENT WOULD LIKE TO HELP. If you’re selling – our property expert will investigate what’s stopping buyers from closing the deal and tell you how to maximise your property’s selling potential, whether it’s helping you move fast or achieve the price you have your heart set on. If you’re buying – the Secret Agent can help find the right home for you, at the right price. And finally, if you have a property problem – big or small – we’re all ears! Simply email:Secretagent@raisetheroofproductions.com or call 0141 427 5880Below is the link to an episode of the show on 4 On Demand. 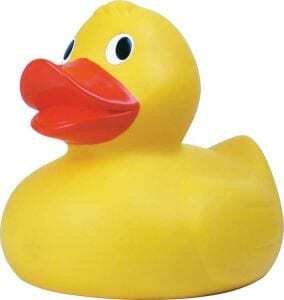 2012 Sees the return of the Paisley & District Annual Duck Race. This year will bring a larger array of entertainment and activities for all of the family making it truly bigger and better than ever before-probably just as well, as a few of the ducks have grown up and will be in a race of their own this year. The Duck Race will be held on Saturday 12th May with the fun starting at 11.30am with the corporate sponsors race starting at 2.30pm and the main race starting at 3pm along the stretch of the River Cart from Morrison’s Bridge at Thread Street to the Mill Street Bridge. 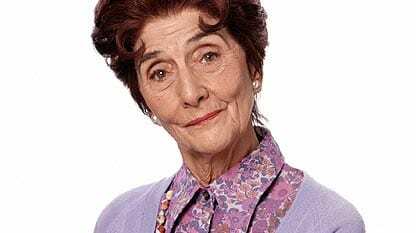 The Race will be started this year by June Brown – more commonly known as Dot Cotton from Eastenders. There will also be music throughout the day provided by Paisley School of Rock including the Glee Club and The Rock Choir. Cameron McKennor, Scottie McClue and Steff Mac as well as Nurse Ducky- Jan McLaughlin. This year we have decided you can adopt a duck for the race for the price of £2.00 or adopt a family of 3 ducks for £5.00. Both these options will be available from every Beaver, Cub, Scout Explorer, Networker and Leader within Paisley & District. All of the money raised from the race this year will be split equally between Paisley & District Scouts, Accord Hospice and the St. Vincent Hospice, both truly well deserving charities from the local area. Accord and St. Vincent Hospices provide palliative care for people living with cancer and other life limiting illnesses. Both of these hospices rely on donations to carry out their day to day work and care. Through raising funds for these charities we can help them provide much needed care and support those people who require it. This was the first time that Reid Kerr’s HNC students had been given the task of working with ‘real’ clients. Importantly, it was also the first piece of radio most of these students had ever done. So it was quite a challenge for them to meet with their assigned clients and negotiate the creative. A big part of what they had to do was take their own brief to help them assess the client’s needs. This differs from other subjects where clients are told to give the students a brief that has already been worked out. Despite the odd rough edge, I’m really proud of the work our students have produced. Some have gone on to volunteer with the clients they made ads for, but all learned a bit more than making commercials – they learned that Paisley & Renfrewshire have a thriving third sector. One of the goals was engagement with our community – thanks to the folks at Engage Renfrewshire we achieved that and some great radio. You can visit Reid Kerr College website by clicking here. The Renfrewshire Witch Hunt 1697 (RWH1697) project started in August of last year with some initial research and has widened considerably. There will be a final large scale re-enactment drama piece playing through the town on 9th June 2012 and it is hoped this will become an annual event. There is now a shop in the Paisley Centre where folk can pop in and take part in designing and making period costume either for the use of the actors or for their own use during the re-enactment drama. There are opportunities available to engage in activities such as costume making and design, it is totally free of charge and there are also volunteering opportunities available in the areas of acting, writing and behind the scenes activities. Visitors will be able to find out more about the RWH1697 project and also the Paisley Development Trust’s plans for the Russell Institute building. Buddies can expect to be better informed about the culture and heritage of our town and also participate in the plans to re-use the famous Paisley landmark at the bottom of New Street. The RWT1697 shop is at the foot of the escalator to the left on the bottom floor (Causeyside Street), come in and see us and hear what we are all about. Come along and try out for the MOJAMS! Mossvale St James Football Team is looking for boys/girls born in 2002. We train on a Monday night, 6.00 to 7.00pm in St Andrews Academy, come along and meet the coaches and the team, enjoy a training session and keep fit while having fun. Parents are welcome to stay to see our training. Interested? Just come along and train with us. For more details contact: Derek Allan on 07807969201, or Stevie Murray on 07958431045. ALL COACHES ARE TRAINED TO LEVEL 3 SYFA CERTIFIED. Hey folks! 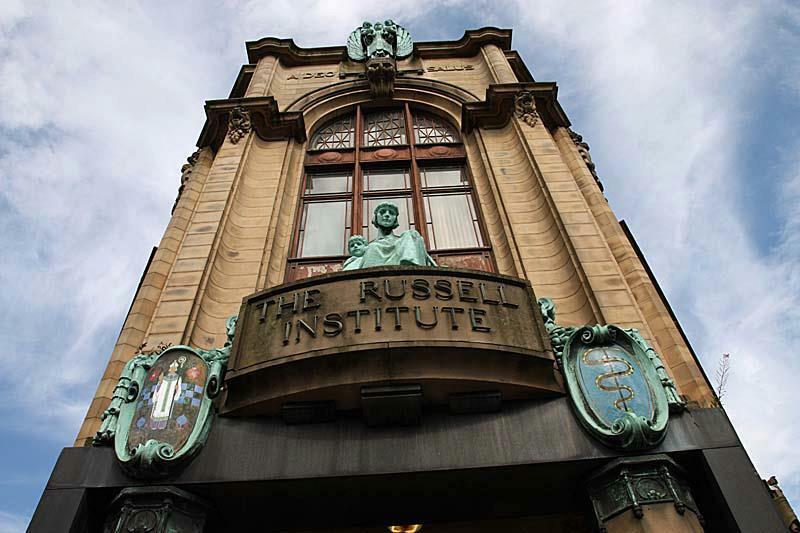 The Paisley Development Trust is looking at the Russell Institute with a view to convincing the Health Board to donate it to the trust for Paisley’s community use. This will take some doing in today’s climate but if we can mobilise all the good folk of Paisley and create a plan for use of the building and present it to the Health Board it would strengthen our hand. Though we need to think rationally about this possibility and realise that it will take £150k per year just to run the place, how are we going to pay for it? How can we make community ownership of the building sustainable? We in the PDT have some ideas, but what do you think? Do you know any group or organisation that would pay to use the Russell’s fine facilities?